This magazine fits the 92 FS 9mm series (92S, 92SB, 92F, 92FS, 92A1, M9, M9A1, 90-Two, Billennium, Vertec, Brigadier, Centurion, Elite). It is made of carbon steel with a glossy blue finish. 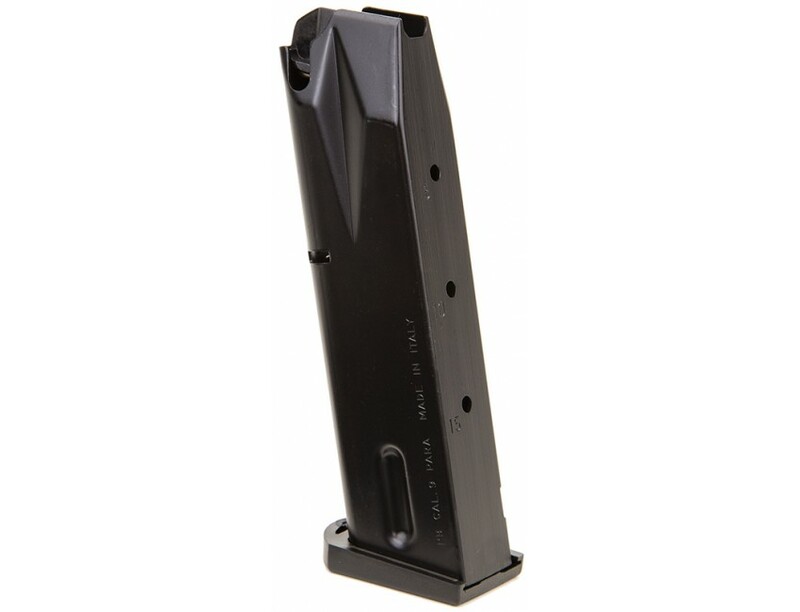 The 30-round magazines will also fits 9mm Cx4 Storm with 92 magazine adapter. It comes with a plastic magazine plate and plastic magazine sleeve.